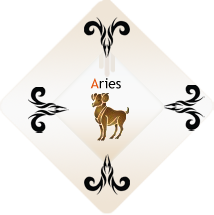 Self-assertive, sometimes bold, sometimes cloaking deep insecurity with that boldness, Aries is always up for an adventure. Your sign is the key that starts the engine of the universe, and that means you have extra motivation, even in the face of intimidating situations. Something in you just rises to the occasion and you make your presence known. Your friends count on you for this, though you often need their support and do a lot better as an initiator when you have a posse around you.